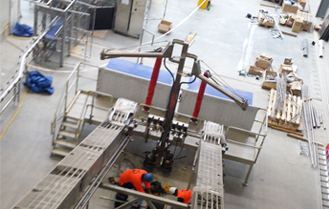 Frontline electrical was responsible for working on a conveyor and also a bag stripping machine at a major dairy factory. This was a job that required strict conformation to site rules and absolute observation of safety regulations and procedures, by all Frontline Electrical staff. 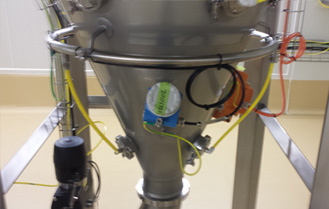 Frontline Electrical recently provided wiring and electrical engineering solutions at a new dairy shed installation. They designed and installed a new heavy duty power supply and also a complete shed lighting system. Frontline also installed a wireless remote system to open and close the backing gate at the cow shed and take one more job off the farmers plate. Electricians from Frontline are more than happy to solve little issues and make your job easier. 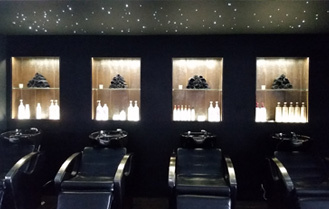 Frontline Electrical was instrumental in the complete design and installation of an upmarket hair salon. Including an industrial air conditioning system, lighting systems, innovative lighting features and wiring systems to multiple individual workstations and equipment. Frontline are happy to go the extra distance to find the right light colours that suit the job best. Different colour spectrum’s don’t always work so expert advice on lighting is important.